symptomatic relief: Pumpkin Scooping And More! The final products. 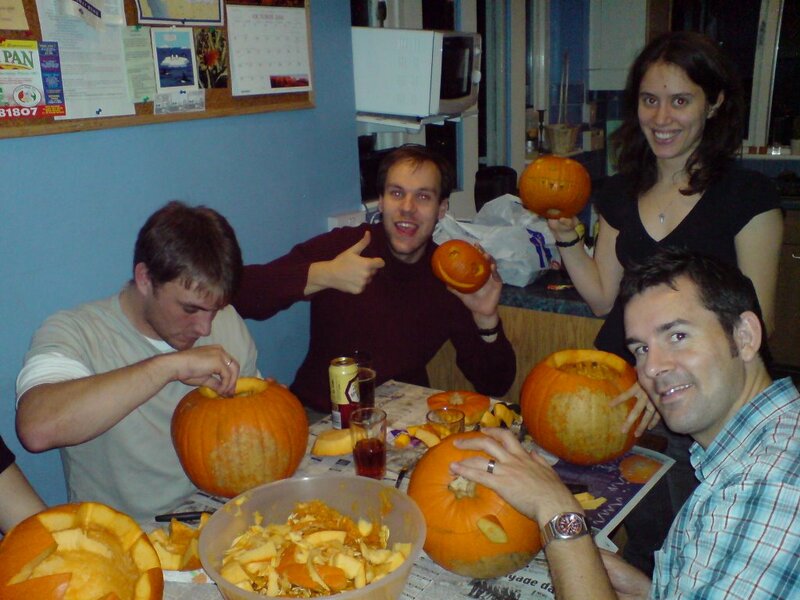 Pumpkin carving (scooping, as they say here) is quite a no-no here amongst Christian circles. Little did I know... I invited a bunch of church friends over for the event! 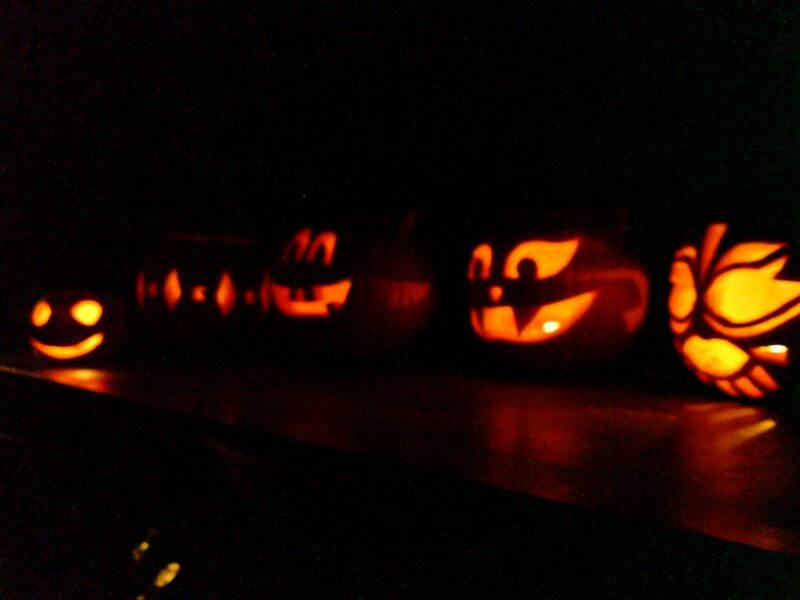 They came, and happily carved away, but they didn't take the pumpkins home. Guilt by association I imagine. Oh, the fun. We then watched a not-too-scary movie afterwards: Shawn of the Dead. Seen it? This is from Liverpool. 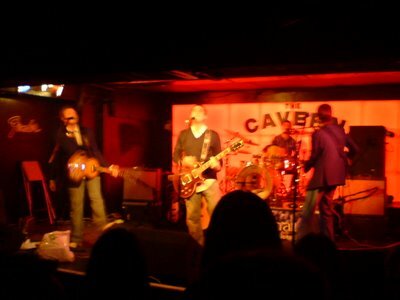 I went to a little club/pub three stories undergrounf called "The Cavern Club." It's apparently where the Beatles got their start! I had a really nice evening there. The bands performing were doing a benefit for Oxfam (calling the evening 'OxJam') to help fight poverty. Yah! This is a photo of me and my former Starbucks boss, Mark. We got on really well. He's the manager of the second store I was at here. Mark and I are working on developing a good friendship with he and his boyfriend. 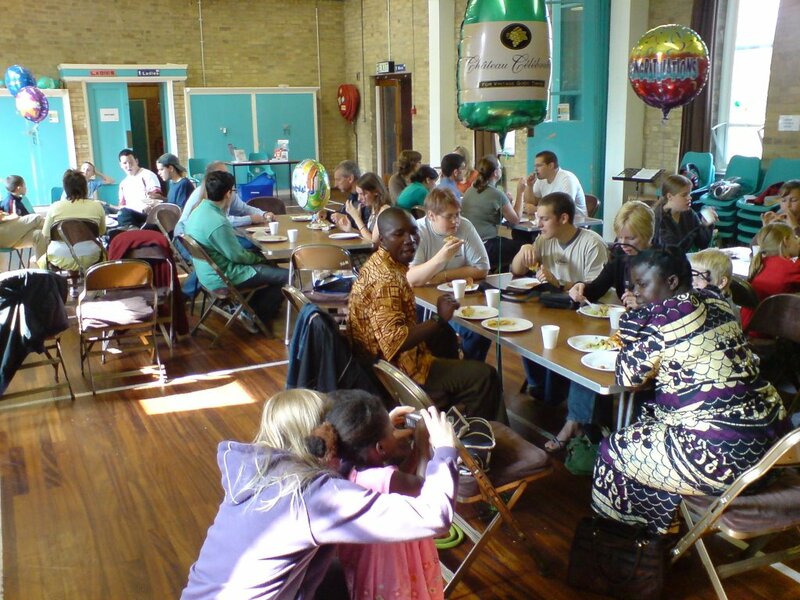 And finally... this is a photo of our church plant! 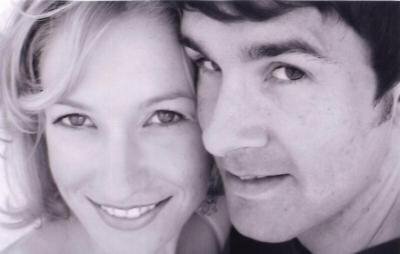 This was taken on the first Sunday we met together. We had a big lunch together afterwards. The church plant is going well, but please keep praying for us. You know the devil will always try to work his way in somehow. Mark and I are off to Bournemouth this weekend to visit Earl (his best man) and Sarah, and their 10 month old daughter! We can't wait to see them.